Quick Thoughts: This was a great collection of stories set back before the age of cellphones. My favorites were set in the 70s, 80s but all of them held charm! The stories range from first love, enduring love, and learning to love. I highly recommend it because I think everyone will find one that they relate too. Audio Thoughts: Every narrator brought it. Not a single time did I feel like the narrator did not fit the story. It was fantastic through and through! Diverse characters and so much romance! I was totally blown away by this audiobook. Honestly, the longer I listened the more excited I got, finding fantastic short stories that were narrated so well. The stories all have differing lengths, but they are all to the point, honest and realistic, starring diverse characters. Several narrators use accents, which I've found is often tricky, but they were all an immense pleasure to listen to. I also appreciated the foreword that stated how Blunder Woman Productions cares about the audiobook experience and even released the audiobook before the printed and e-book versions. I blog about audiobooks, things like this really do matter to me! I like it when audiobooks aren’t just an afterthought. Other than that I don’t want to go further into each story because many of them have sweet surprises, especially for those who care about diversity in their romance. The authors and narrators are all fantastic and it’s easy to tell that this anthology was put together with a lot of care. I received a free copy of this audiobook in exchange for an honest review. 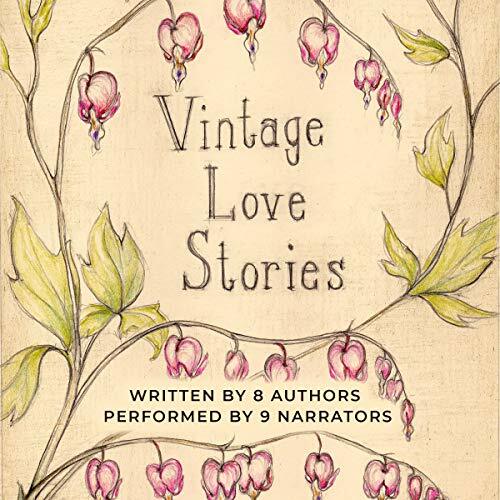 A carefully curated selection of love stories set in pre-emoji times, Vintage Love Stories was my first official romance listen and I am oh, so glad! There is a bit of something for everyone here, in this collection of sometimes sweet, sometimes quirky, often heart-clenching tales. From first loves, to missed loves, to the changing dynamic of love within a marriage, these stories celebrate the voices of both their authors and narrators. Stand outs for me were: K.E. White’s story, Can’t Get Used to Losing You, Tony Healey's, Adele, and Second Best, by Brenna Aldrich. Perfomances that stuck with me were Carol Monda's soulful reading of Adele, Mark Turetsky's super-sweet-and-sentimental parts in Can't Get Used to Losing You, and Hillary Huber's gritty interpretation of Second Best. Whether romance is your thing or not, you'll be sure to find something to love and connect with herein. Great short love stories. Great narration. Overall, I enjoyed my listening. I received this free review copy audiobook at my request and I have voluntarily left this review.